An illuminated pink torch ginger lights up the shade. 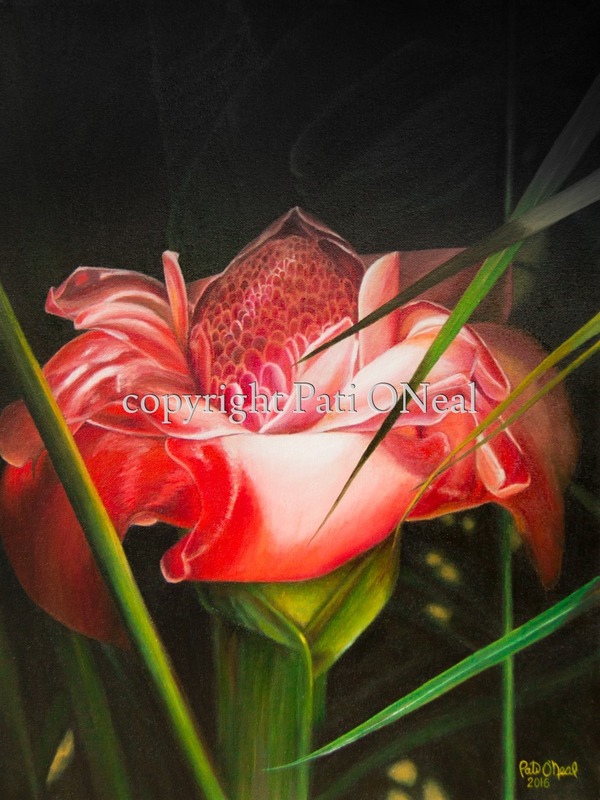 Original oil on canvas is currently available at Sunshine Arts in Kahalu'u, Oahu. For a similar commission contact the artist.